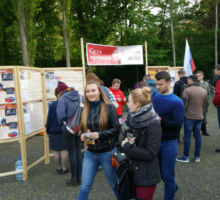 A memorial event dedicated to the 72nd anniversary of the Victory of the Soviet Union and its anti-Hitler coalition allies over Nazi Germany took place in Treptower Park in Berlin on May 8 and 9, Rossa Primavera News Agency reporter informs. 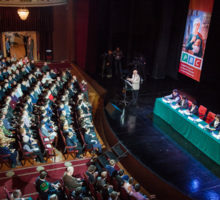 The resolution of the III Congress of the All-Russian Parents’ Resistance non-profit organization for the defense of families and the Essence of Time sociopolitical movement. 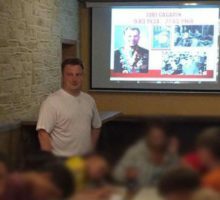 An exhibition and a conference in the scope of the international project “Culture against fascism” will take place on September 18, 2015 at 16.00 in Berlin. The organizer of the exhibition is the German subsidiary of the “Essence of time” movement and the host is German Society for the Protection of Civil Rights and Human Dignity. The project unites creative and intellectual people, who protest against the spread of neo-fascism and against the refusal of humanism in all areas of the modern world. 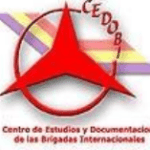 Project “Culture against fascism” started on May 2, 2015 in Madrid, near the Center of Arts at the Queen Sofia Square. 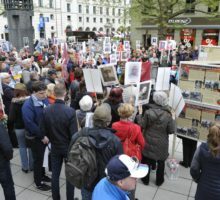 The project was initiated by the Spanish artist, Cinabrio Quijano, who created a painting that day devoted to the tragedy in Ukraine, right at the square in front of the people. Since then, many artists and intellectuals from different European countries joined the project. While continuously acquiring new paintings, sculptures, literary and musical compositions, the exhibition is presented in form of a mobile showroom in many European cities. On June 19, 2015 the exhibition took place in Paris. In the middle of 2016 all works of art, which will be collected during the scope of the international project, will be designated to the museums of Donetsk.